The new Test captain of the English team Joe Root is hoping to lead the team out in the field excellently. Root is hoping that his assistant Ben Stokes can learn some tricks and get tips form the dressing room when he features in the Indian Premier League (IPL). 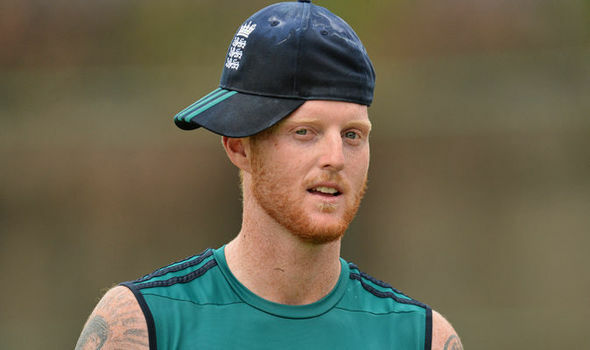 The Ashes series is over six months away but Root and Stokes seem to be planning ahead. Funny enough many would not observe this as the spotlight would be shone on Australian players after the ill-tempered Border-Gavaskar series. Last year Ravichandran Ashwin, who is now injured, barely bowled but his leg spin was able to do the job. This time around at the Rising Pune Supergiant (RPS) franchise, Steve Smith would likely keep a little distance after the series for dressing room advantage safety. RPS signed Stokes for AUS$2.8 million this year. The England player would share the dressing room with Smith, and other Ashes rivals like Adam Zampa, Dan Christian, and Usman Khawaja. Smith would likely be the target of information siphoning, being the world’s revered Test batsman. “Smith has become one of the best players in the world. In fact, he is ranked as the best player in the world and is just racking up the runs for fun. So the one thing Stokesy can do for us is make sure he finds a little weakness in Steve Smith’s armoury for us when we go down in Australia,” Root said. Since Smith’s century in the fifth test in the 2013 Series, no team has been able to stop the skipper. He regularly goes over 71 and he has scored 19 Test hundreds since his unbeaten 138. Only Ricky Ponting’s 21 Test from October 2002 to March 2006 betters Smith’s three and a half years of century making. Many say Smith is set to rival legends like Steve Waugh, Mark Taylor Ponting. Coach Darren Lehmann said Smith could equal records of the legends. “He is right behind the scenes, he’s into it everyday, making sure everyone is okay. I’ve been so proud of him as a leader. He’s a different leader to Michael [Clarke] to Ricky to Mark Taylor to Steve Waugh. And he’s working out his own identity as a captain. But I’ve been proud of him, everyone has been proud of him,” Lehmann said. Tymal Mills has a few things in his mind which he would like to do when he gets the money he has been bought for in the IPL, but, since that money is still not in his possession, he is not thinking too much about it at this stage. As per Mills, he isn’t the owner of a house yet and that’ something he wants to become. That’s been his dream for a long time. So, that would be right up there in his priority list when he has money in his locker and he is happy that the amount he would be making from the IPL, if he goes through the whole season, would be big enough for him to be in a position to make the full payment of the house in one go and not in instalments. Mills reveals that a lot of people have been cheekily reminding him that he is a millionaire, but, he tells them that he is still not and the money is yet to come and it will come only after the season, but, he is overwhelmed to see how glad his mates are for him and that’s because all of them are aware of the struggles that he has had to do on his way up. Mills is also looking for a professional who can sort all the banking formalities for him to be able to get the IPL money deposited against his name without any complications. The left arm quick says that since it’s the first time he will be involved in such a big transaction, he has no idea what are the criteria that need to be followed. That’s why he is in search of the right person who can help in that regard. The game between England and India to be held in Mumbai, at the Wankhede Stadium, will see England bat first after the y won the toss and opted to bat first. For the upcoming game, both team made several changes to their squad members. For India, the injured duo of Ajinkya Rahane and Mohammad Shami will be replaced by Lokesh Rahul and Bhuvneshwar Kumar. For Shami, a sore knee has ensured that he would miss the game, while Rahane will be sidelined due to an injury which he picked up during training a few days back. On the part of England, they will be handing Keaton Jennings, son of Ray Jennings, former South African Coach, a test debut. Jake will be giving a ball in the coming game, which so far will be his second test match since making his debut earlier this year at Lord’s in the game against Pakistan. The duo of Haseeb Hammed and Gareth Batty, who were amongst the squad beaten in Mohali, will be replaced by Jennings and Ball respectively. Stuart Broad was not considered for selection as his fitness level was not good enough to guarantee him a place on the squad list. Broad was unable to recover in time from his foot injury, thus giving the 25 year old seamer, Jake Ball, the chance to come in for his second cap. For Ball, he would however be hoping for the chance to impress having been given the opportunity to set the tone. After getting bowled out for less than one fifty thrice in a row, there was a willingness from the Sri Lankan batsmen to approach the batting differently in the second innings of the second test match against England. The opener Kaushal Silva, who had been doing nothing else than offering the dead bat to the red cherry in the previous innings, was instead trying to be busy this time around looking for singles to disallow the bowler to set him up. Positioning himself slightly outside the crease and then, getting a full forward stride from there, he was reaching the balls on the half volley more times than not and thus, playing his drives without too much of danger. Of course, when you play like that, the bumpers are never too far away and Silva too had to counter that as the English quickies shortened the length to him often, but, everything was left alone from that length until the time a Steven Finn delivery eventually got a little too big and did him. However, the fighting fifty from the short heighted right hander was a tempo setting innings for Sri Lanka. Thereafter, the skipper Mathews, who had been seen animatedly discussing the strategies with the coach and also, the chairman of selectors in the players’ balcony in the morning, took the fight further with his game plan of attacking England’s spinner Moeen Ali. However, just when he was closing in on his second test match hundred in England, Anderson, with a peach, got him nicked off to dent the visitors. Dinesh Chandimal, Mathews’ deputy who had been pushed down to 6, however held the fort for the rest of the third session along with the debuting all-rounder Malinda and with the third half century of the innings, got Sri Lanka to pass 300. Some of the selections by England towards the end of the ODI series against Australia, which they lost 2-3, were quite weird. They left their in-form players out of the playing XI in the crucial games. Steven Finn did not feature at Leeds in the 4th game and was replaced by Mark Wood and then, in the game after that, which was the decider, it’s Liam Plunkett who had to make way for the uncapped Reece Topley. Plunkett had been the most effective quick for England in the series and he had helped the team win the 4th game with the bat too as he had struck some decisive blows batting towards the end. It seems the England team management is perhaps looking at a bigger picture. They are not too worried about losing the games at the moment, but, what they want is to have a look at all the players whom they believe can play a part for the team in the World Cup in 4 years’ time. While, that’s okay, it’s also important that you try and win the bilateral series that you are playing against tough oppositions and that you can do only by putting your best XI on the park in crucial games. If Topley had to have a look in, he should have been handed a debut much earlier in the series, not in the decider. However, it’s not that England lost the decider because of that change that they made of replacing Plunkett with Topley. That had nothing to do with the defeat. It’s England’s poor batting or rather Australia’s impeccable bowling which was the main reason which way that 5th game went, but, having said that, to leave Plunkett out was slightly harsh on the Yorkshire man and was uncalled for too. James Tredwell finally got his opportunity in the longest form of the game too as he was able to break into the playing XI of England for the first test match against West Indies at Sir Vivian Richards Stadium, Antigua. Tredwell has always been seen as a specialist limited over bowler for some reason despite the fact that he has got the ability to bowl slow through the air and defeat the batsman with flight. Normally, while picking a bowler for test match cricket, you see if he is skilful enough to force the batsmen to commit mistakes or he just bowls darts. You don’t want a darting sort of a bowler simply because test Cricket is more about skills than anything else and you cannot hide yourself in it by taking a defensive route with the ball. However, Tredwell is somebody who ticks the first box. He has got a lot of skills and he deserved to make his debut in white clothing for England after the retirement of Graeme Swann. But, during the home season the previous year, England preferred to go with an all pace attack and used Moeen Ali as the part time off spinner and since, they fetched good results with that combination, they carried on with it all the way through. In West Indies though, playing 4 seam bowlers is a little difficult as the pitches are slow and the overhead conditions don’t allow the ball to move that much in the air either. And, you don’t expect Moeen to do the job as a specialist spinner. He is coming back into the squad from an injury as well. So, Tredwell finally, after a long wait, was given his first cap. Now, it’s up to him to ensure that he is consistent in the ongoing series and is able to book his place in the playing XI for the starting Ashes games too. Not too many people would have been taken aback when the news flashed that Alastair Cook was removed as the captain of the England One Day International team. But, there’s one guy who was surprised when being told that the Essex opening batsman was no longer in charge of England as far as 50-over cricket is concerned. It’s Luke Wright. The all rounder could not quite believe his ears when he heard the big news. Because of the World Cup being so near, Wright had not expected something like this. The 29-year old is in Australia right now featuring in the Green outfit for the Melbourne Stars in the 4th edition of Big Bash League. Wright himself is not in the scheme of things either for England at this point of time. He had been with the team on the Caribbean tour in the earlier part of last year, but, then, over the summer, he was sidelined.